Trim off large leaves of broccoli and remove tough ends of lower stalks. Wash broccoli thoroughly and cut flowerets into bite-sized pieces. Cook broccoli covered in a small amount of boiling salted water for 2 to 3 minutes or until slightly tender and drain. Rinse with cold water, drain and set aside. 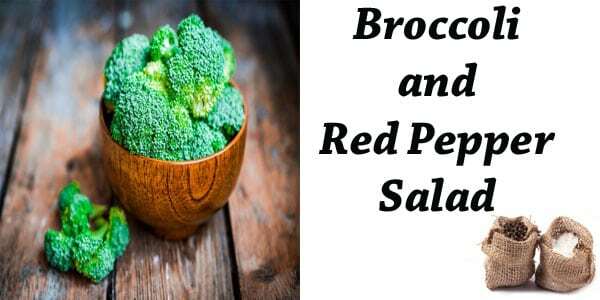 Combine broccoli and peppers in a large mixing bowl and toss gently. Combine remaining ingredients in a jar, cover tightly and shake vigorously. Pour marinade over vegetables, toss gently. Drain off marinade before serving.